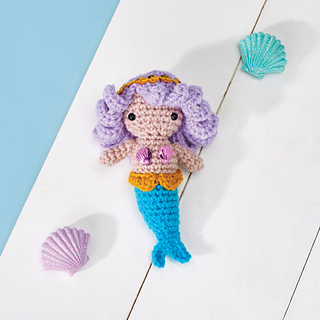 You know summer’s here when mermaids come out to play! 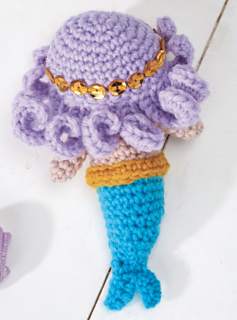 This fierce little lady, with her lilac hair and turquoise tail, is a quick project to keep your hooky fingers happy this weekend. The pattern is worked using the amigurumi method. Work in a continuous spiral without closing off the round with a ss. It may help to use a stitch marker in the last stitch of each round, moving it up as you work. 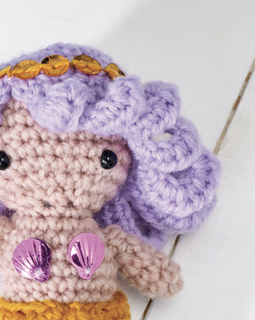 The kit for this pattern is included with the print edition of issue 72 of Simply Crochet.